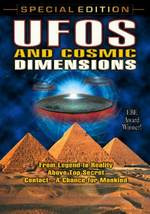 "UFOs and Cosmic Dimensions" is a 1999 EBE Award winning documentary film which will send you on a mind bending journey through the worlds of science, spirituality, ancient alien cultures and the future of our modern technological age. Along this journey you will visit the most dramatic sacred sites, explore the worlds greatest alien mysteries, and see the future of life on Earth. In 1947, a pilot in Yakima, Washington spotted nine "saucer-like" craft moving at over 1200 mph across the mid-day sky. His story and many others like it caught the imagination of the world, kicking off the modern flying saucer era and the UFO phenomenon that exists today. Now drawing on shocking new discoveries from the world's greatest scientific minds, this epic investigative series presents factual proof of UFO and Alien influences today that have shaped history and human evolution for thousands of years. Includes shocking eyewitness accounts, stunning film of UFOs, explosive classified information, incredible statements from major scientists and international experts and is the most complete profile of UFOs ever released to the public. Ultimately your perception of reality will be turned inside out by the facts presented in this award winning series of programs. The documentary includes a fantastic collection of interviews from top scientists and researchers from around the world, stunning computer graphics and incredible photos and video of UFOs in flight. This film explores the origins of life on earth from the beginning of recorded history, reveals how we view and define reality and how extraterrestrial influences continue to shape the outcome of human history. This film explores the history of our modern technological age, advances in science, the question of UFOs, and how our world governments have controlled the flow of information to the public regarding the truth about UFOs. 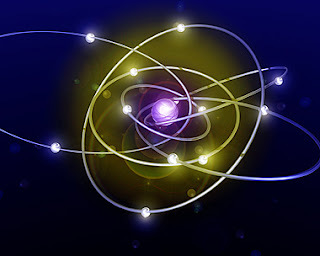 Nikola Tesla, Free Energy and Antigravity are also investigated. This film explores the evidence of extraterrestrial contact and the knowledge they bring as well as their possible influence on the future destiny of human history.